One of the huge challenges for filling your leadership pipeline is defining what distinguishes future superstars from everyone else. Numerous organizations have developed programs to develop emerging leaders. Unfortunately, very few have developed reliable methods for identifying who really has the potential to have a high impact on your organization if they are properly developed. What are the characteristics of individuals who warrant heavily investing in to help them achieve their full potential? And how do we identify those who will alter the trajectory of our organizations for the better if we will prepare and empower and enable them to have even greater influence as they grow and mature as leaders? Successfully answering these two questions, and then acting on the insights, will transform the future of your organization. Last week, I had an “aha” moment develop out of an intriguing conversation with a rapidly rising star. When she made a casual comment about regularly reading the Wall Street Journal on her own time, I wanted to dig deeper to better understand the factors that distinguish those who have the ability to profoundly affect their organizations and what makes them different. This rising star didn’t initially strike me as a Wall Street Journal reader. The Wall Street Journal has precious little to do with local government or her specific job duties, so I really wanted to know what motivated her. She explained that she really hungered to learn more about the world in general, and she felt like reading broadly would help her become better and more successful, even though what she was reading didn’t have anything overtly to do with her job. In other words, she intuitively recognized that her potential for significant impact on her organization will be dramatically enhanced by her being exposed to a wide variety of information and learning how to think broadly, and she was acting on that recognition. Her comments reverberated on Friday while I was at the Urban Counties Conference listening to Randy Mayeux provide an executive book briefing on Jim Collins’ Good to Great. One of Collins’ recommendations to become a Level 5 Leader was to “read widely”. He defined “reading widely” as learning more about the world in general, not just what fits your current context or comfort zones. This reminded me of an interview with Warren Buffett on PBS a few months ago. When asked what he would recommend that someone do to be successful, he immediately responded, “Read”. And then Buffett went on to say that he reads an average of one book every single week. The greatest business mind in history attributes much of his success to hungering to learn more about more every week. The one man who every business person in America wants to learn from recognizes how much he has to learn and makes it a priority each week to learn more by reading widely. My “aha” moment was the clear parallel between Warren Buffet and this rising star. One has accomplished far beyond imagination, and the other is just beginning to lay the foundation to reach her potential as a great leader. Yet, both of them approach life with a genuine sense of humility that says, “I have much to learn”. Both of them have been willing to act upon that knowledge and read widely to broaden their horizons, their insights, and their understanding of things outside of their comfort zones. Both of them have demonstrated the discipline to actually seek out opportunities to learn instead of just talking about it. Seeing the parallel between Warren Buffett and this rising star taught me a lot this week. A mediocre future belongs to organizations led by those who think they have all the answers, who have never made mistakes, or who do not understand how much they have to learn. But I am willing to bet the future of my organization on those who are authentically humble, who hunger to learn more about more, and who have demonstrated a willingness to invest their own time and energy into making themselves better. It is a bet worth taking. My wife made me read an article in the Dallas Morning News Points section a couple of weeks ago. She doesn’t make me do this often—but when she does, I’m usually glad about it. Here’s the article. It is worth reading: Andrés Martinez: Cheer up, life has never been better. Main point: things really have never been better. As bad as it seems, don’t kid yourself—things are pretty wonderful! You see where I’m going with this, don’t you? That’s right: Let’s stop whining already—at least for this holiday season. We’re so spoiled we can’t really relate to how bad previous generations had it. So why, if life is better all around, do we whine and complain endlessly as if we live in the worst of times? 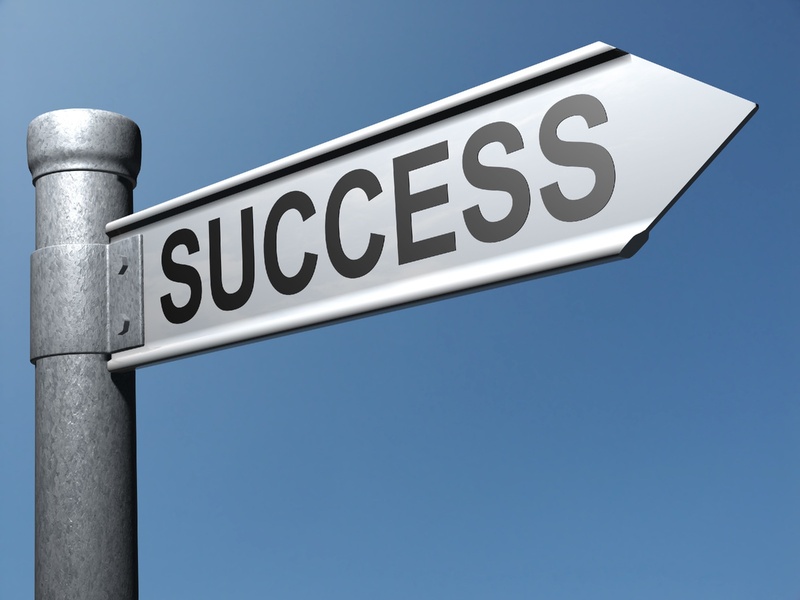 The answer is: Our success allows us to constantly update our expectations. When my flight is three hours late and the Wi-Fi is busted, I couldn’t care less what it took to cross the country in previous centuries. We are all prima donnas that way. Even in China, young middle-class consumers whine as well, instead of counting their blessings that they didn’t suffer through Mao’s Cultural Revolution. I’ll concede, very grudgingly, that all this whining can be a good thing. As Yuval Noah Harari, the author of Sapiens: A Brief History of Humankind (to be released in February), writes, we’re hard-wired to be disgruntled. It’s the only way we achieve progress. Evolution requires us to demand more and better. This explains why we keep following Moore’s Law, shrinking the size and upgrading the capabilities of everything around us, technologically, and otherwise. What will you/we “demand to be better, and then make, better” in 2015? That’s the personal, and the business question for all of us to ponder for our holiday break. Have You Developed a Well-Educated Mind? Every now and then, we should remind ourselves of the basics. Though there are a lot of reasons for reading—to escape, to journey, to be entertained, to be amused—one reason to read is to fill gaps in our knowledge. We read to learn stuff we do not yet know. 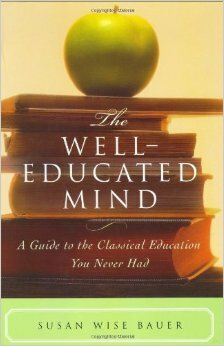 I recently discovered a book that reminded me of this: The Well-Educated Mind: A Guide to the Classical Education You Never Had by Susan Wise Bauer. There are books to just read through nice and fast, and there are books to read slowly. I am enjoying reading this book slowly. Stage 1 – the grammar stage – You simply absorb information; you do not evaluate it. If you think about the brilliant simplicity of this process, you see how we get into trouble. If you start analyzing and expressing your opinion before you fully know the information, you are skipping a rather major step. This book provides a terrific reminder about what a well-educated mind is like. And, back to the Isaac Watts quote, every time I read something and say to myself “I did not know that,” (which is plenty often! ), the more I feel like I am acquainting myself with my own ignorance. As You Eat More Chikin and Eat More Kale, READ MORE BOOKS! Bo Muller-Moore, who lives in Montpelier, had been ordered to cease using the phrase on T-shirts and other merchandise by the fried chicken chain Chick-fil-A, on the grounds it violated its trademarked slogan, ‘Eat Mor Chikin’. It turns out the kale guys won the battle—they can use the phrase Eat More Kale. Good for them. I definitely think we should all Eat More Blue Bell Ice Cream (OK – probably not much more). Different studies and surveys pretty much reveal that people, on average, don’t read very many books. One survey I once read said that the average male college graduate, after graduation, reads only about one full book a year. Oh, the book lovers read a lot of books. If there were three people in a room, a never-read-a-book-person, me, and Bob Morris, our average would be very high. I read quite a few books a year. But Bob reads many, many, many more books. So, in a room of three, with Bob in it, the average would be off the charts. But there aren’t that many people like Bob out there. (And, by the way, we’ve now learned, thanks to big data connected to all versions of e-books, that a lot of people only read a few pages/chapters into the books they buy. We sort of suspected this—now we know this). Recreate your book reading for 2014. How many books will you have read this year? Now, for next year, add to that number. READ MORE BOOKS next year than you read this year. Chick-fil-A does not tell us how many chikins to eat; they just encourage us to eat more chikin. The kale folks don’t tell us how much kale to eat; they just encourage us to eat more kale. So, I won’t tell you how many books to read. I just encourage you to READ MORE BOOKS.